Despite the launch of the GeForce GTX 780 Ti graphics card, which by all means is perhaps the fastest 3D solution on the planet right now, NVIDIA is not wasting its time as the company plans to unveil at least two new ultra high-end graphics cards in the near future. The first new card is expected to appear in February 2014 and this will be a faster version of the GeForce GTX TITAN, called GeForce GTX TITAN Black Edition. The new card will replace the GTX TITAN and promises to be very fast as the initial specs of the new 3D beast resemble these of the GTX 780 Ti. The GTX TITAN Black Edition will, however, arrive with 6 GB of GDDR5 memory, full double-precision floating point power and most likely higher clock speeds for the memory and GPU. As to the GPU specs the card will offer 2880 CUDA cores, 240 TMUs, 48 ROPs and a 384-bit memory bus. The card will likely sell for the same USD 999 as the GTX TITAN. The other newcomer will be based on two GK110 cores making it a dual-GPU card that will presumably be called GeForce GTX 790. The complex GPUs and their power consumption will force NVIDIA to cut down the cores a bit with each one of them offering 2496 CUDA cores, 208 TMUs, 40 ROPs, a 320-bit wide memory bus and 5 GB of GDDR5 memory making for a card with 10 GB of memory. This one is expected to become the world’s fastest 3D card especially when it comes to applications that make use of NVIDIA SLI. 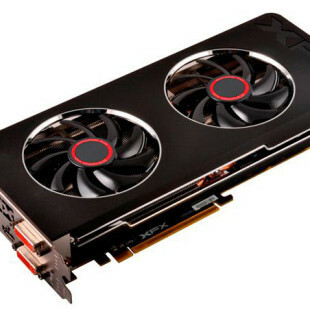 The pricing and the release date of the GTX 790 are unknown as of now.